For its second appearance at MWC this year, HMD Global unveiled a number of Nokia Mobile branded devices across the pricing spectrum. One of the more interesting offerings is the Nokia 1, which features 4G capabilities and runs on a Go Edition of Android Oreo. Now the device has landed locally, carrying a recommended price tag of R999, available at carriers like Cell C, MTN and Vodacom. It will also come in Warm Red and Dark Blue colour options. 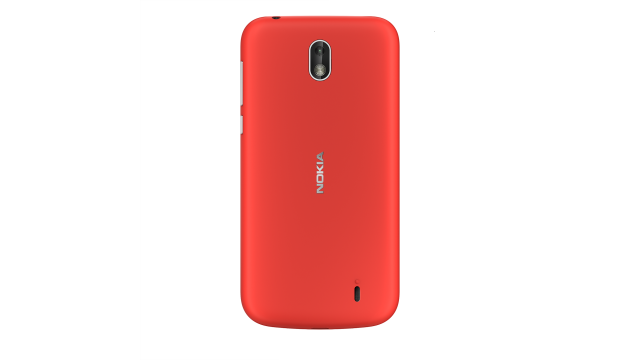 Designed for consumers making the switch from feature phone to smartphone, the Nokia 1 features some very entry-level specifications. To that end it has a 4.6" IPS display (854x480), quad-core Mediatek chipset, 1 GB of RAM and 8 GB onboard storage. Added to this is a microSD slot for up to 128 GB extra and a 5 MP primary camera. As such, it's probably not going to blow consumers away, but does present a nice option for those who are cash-strapped.